Those luscious ice creams may look tempting in this scorching weather and like every other year your diet plans will go down the drain- but not this time. Because there are a plenty tasty yet healthy options that can keep you cool and fit at the same time. Check them out! There is nothing better than a watermelon to quench your thirst in this burninging heat. The high water content of water melon helps in maintaining the fluid levels and electrolyte balance of the body. 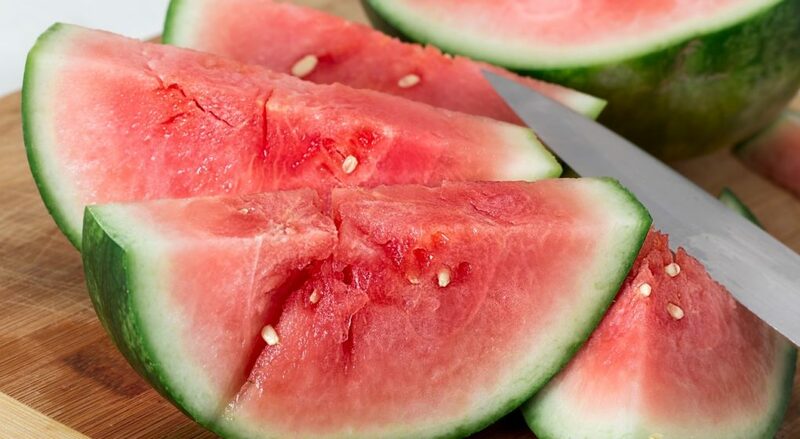 Each refreshing bite is nutrient rich, containing ​vitamins A, B6 and C and lycopene which is good for heart health. Eat the rind too. Keep yourself hydrated with this juicy fruit. Not to be confused with coconut milk whose one cup contains 556 calories as compared to just 46 calories that a cup of coconut water contains! Trapped inside a coconut, this clear liquid is clearly magical. It is packed with five essential electrolytes that the human body requires: calcium, magnesium, phosphorous, potassium, sodium. It has wide range of health benefits from aiding in weight loss to being the ultimate hangover remedy. It reduces blood pressure and boosts hydration and facilitates digestion. Also its rich nutrients can you the picture perfect skin that you always imagined! Fun fact: Coconut water is compatible with human blood, which means, in extreme emergencies it can be used to rehydrate the body by administering it intravenously. Enjoy it straight from a coconut or mix it up with any other juice and since it is low in calorie you can enjoy as much as you like! Cucumber-the perfect summer salad. This crunchy vegetable keeps you hydrated and flushes out the toxins. It also helps in weight loss. Its high fiber content keeps constipation at bay. It can also be used externally for removing dark circles around those eyes and for facials to get a refreshing look. Eat this anytime to beat the heat and keep yourself cool inside out, cool as a cucumber! This bacteria packed dairy delight is best in any weather but especially in summers. A big glass of chilled buttermilk is an instant remedy for dehydration. Or put in your fruit salads and enjoy the goodness of curd. It is good for indigestion because of the lactobacillus bacteria it contains. Eat it after every meal to have a good tummy health! This sweet and delicious seasonal fruit is the best dessert to have after every meal in this weather. It has a high sugar content, therefore it is not advised for people trying to lose weight but moderate quantities like 2-3 mangoes a day does no harm. Eat it after dinner or have it as mango shake for breakfast. Whatever you may eat but look out to avoid eating these in the summers. All these tend to aggravate the stomach and heat up the body. They may also lead uneasy and nauseating conditions. They are best avoided. Though a glass of lime soda may help in this situation!